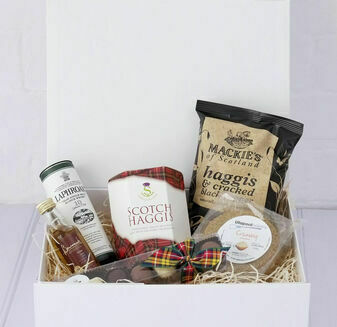 This Scottish Traditional Feast Hamper is filled with an abundance of traditional treats. 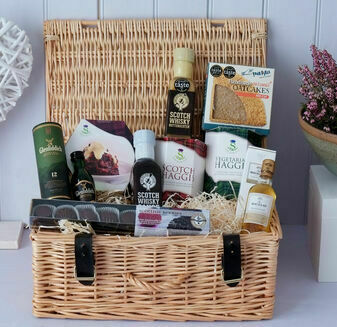 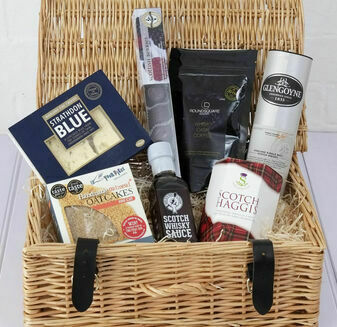 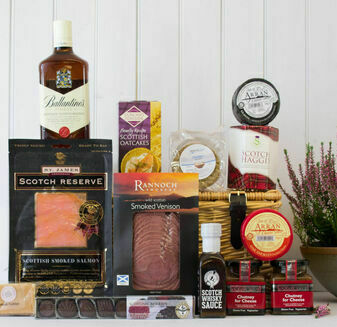 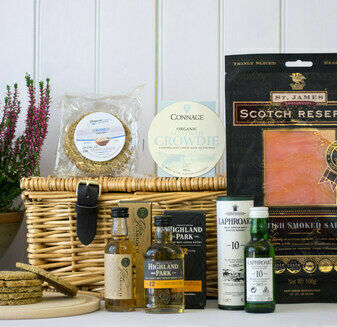 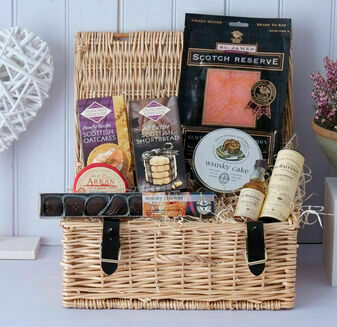 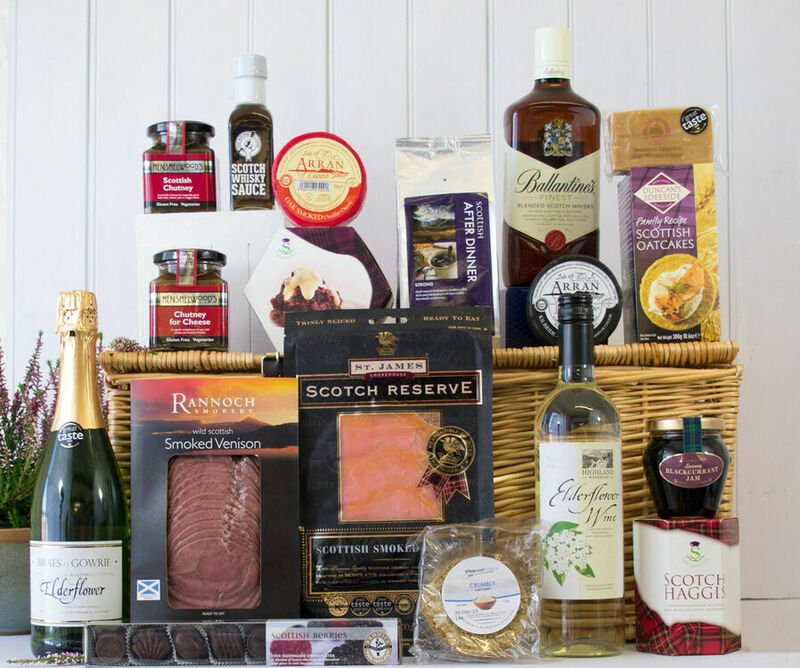 This hamper will make a fabulous gift for a grand occasion, offering a variety of Scottish delicacies and traditional delights. 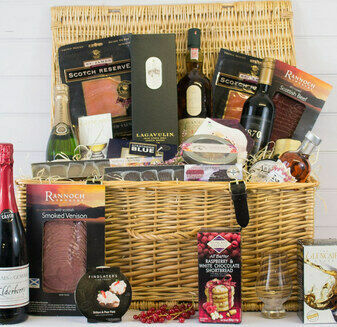 Family were delighted---It arrived at the correct time! 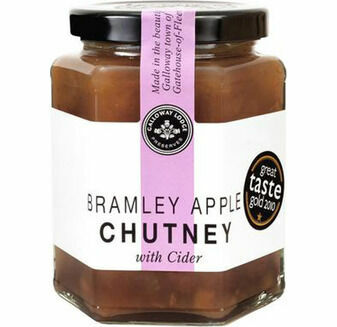 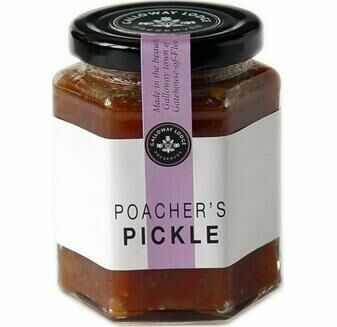 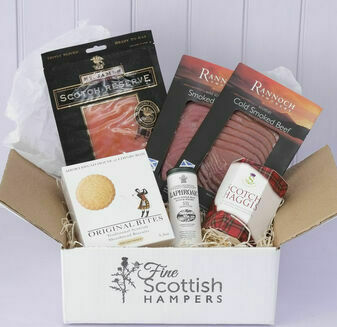 Just have to say a huge Thankyou bought hamper for a family member who absolutely loved it and will "remember receiving it forever" if you want a gift that really makes an impact then this is the perfect choice! 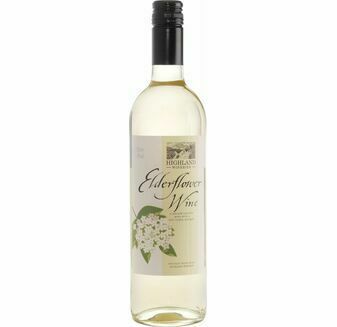 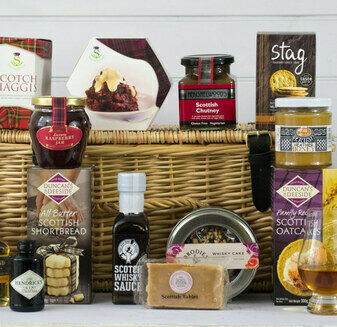 This hamper was purchased for a Golden Wedding Anniversary gift. 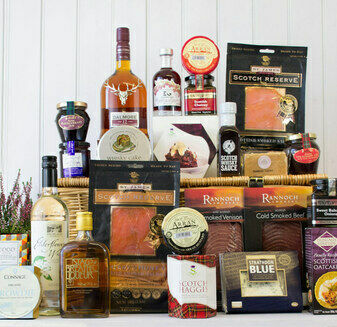 The recipients were highly delighted and impressed at the variet,y, quantity and the high quality of the contents. 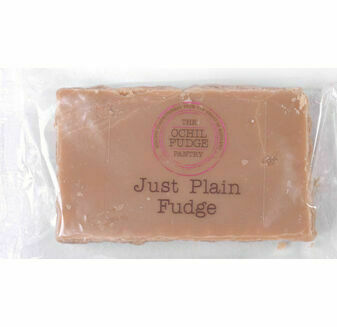 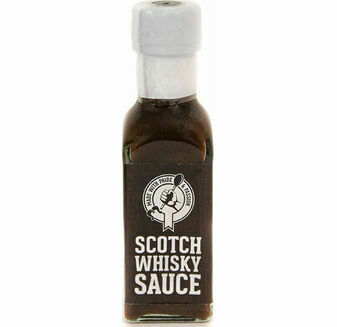 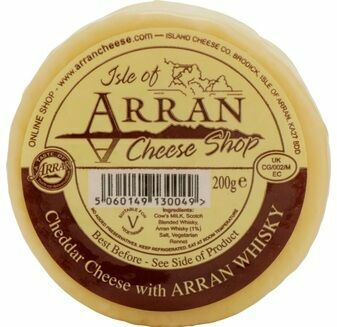 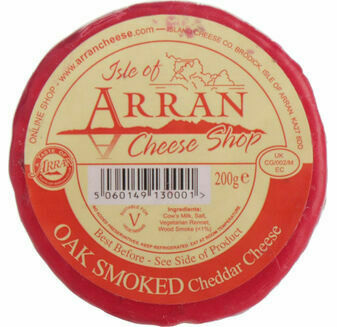 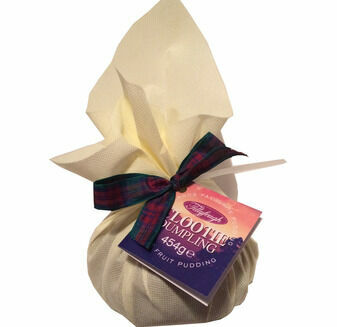 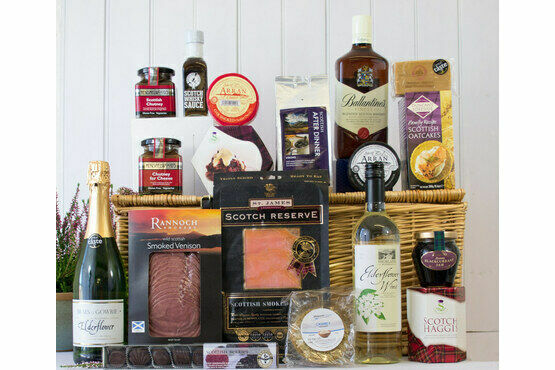 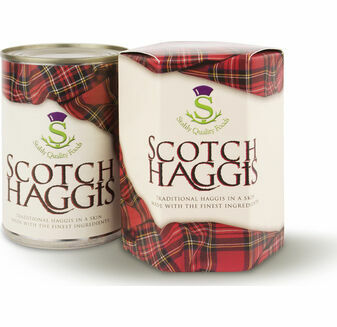 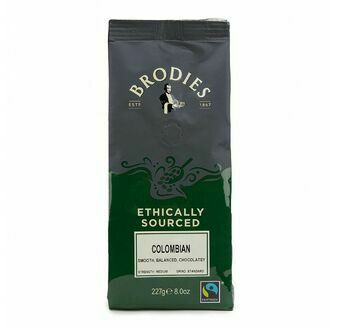 Scottish Hampers are fantastic, great variety of items all of a high quality and delivered promptly and efficiently.